Brighten up your kitchen with this stylish and quintessentially Scottish Tea Towel. Hairy Coo is a family run company based in the Highlands of Scotland. Designed in Scotland and Made in the UK. Comes with a Hairy Coo Magnet included! 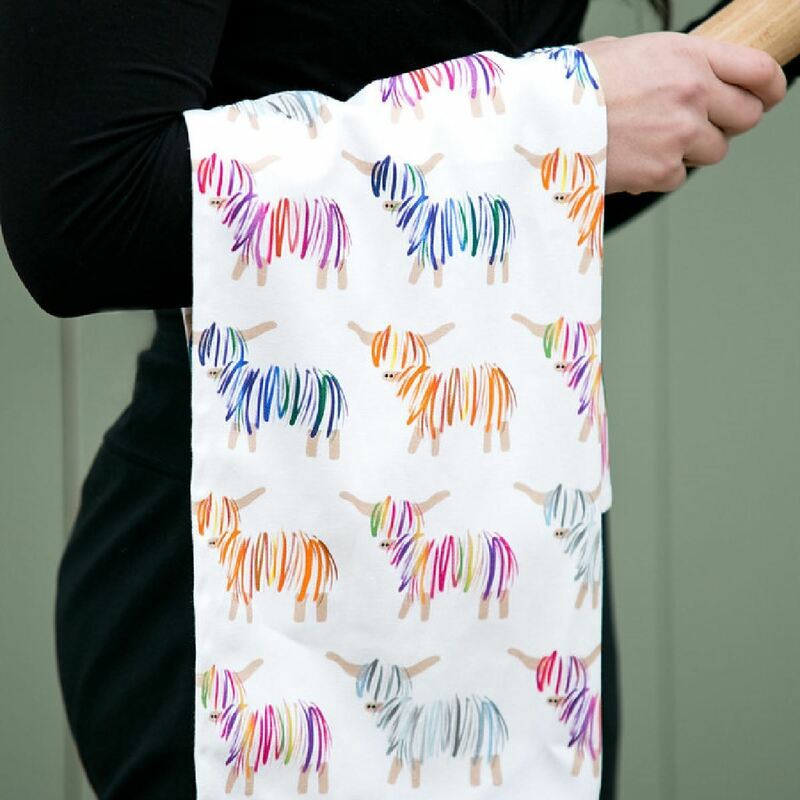 Hairy Coo range also available as: Coo Apron, Coo Mug and Coo Tote Bag.